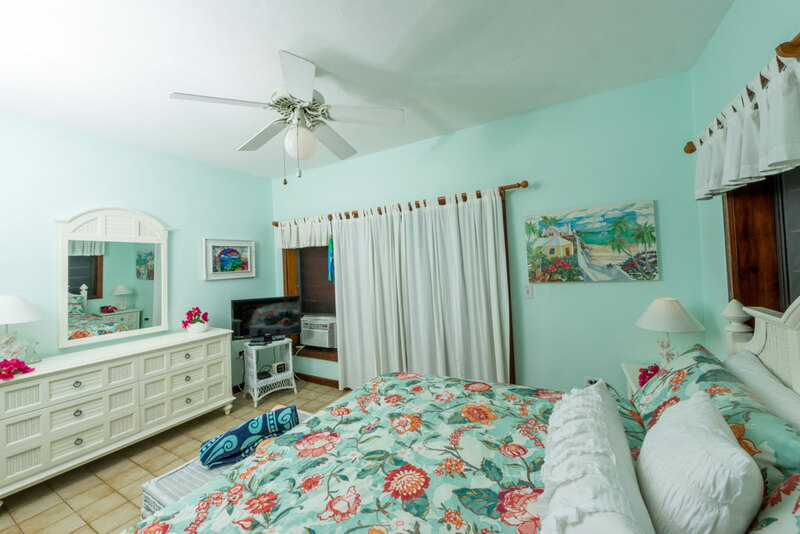 Suite 10E is an exclusive, tastefully-furnished, corner unit, perfect for lovers and others or anyone wanting a little extra privacy. 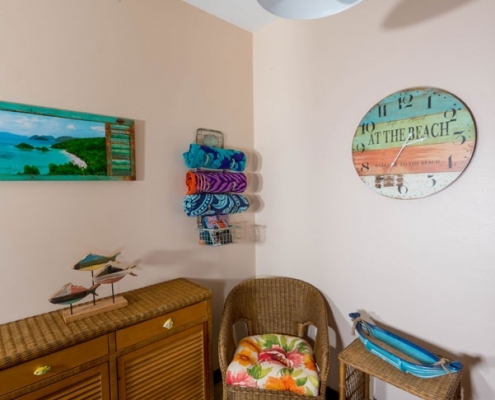 Suite 10E is an exclusive, tastefully-furnished, air-conditioned corner unit, perfect for lovers or anyone wanting a little extra privacy. 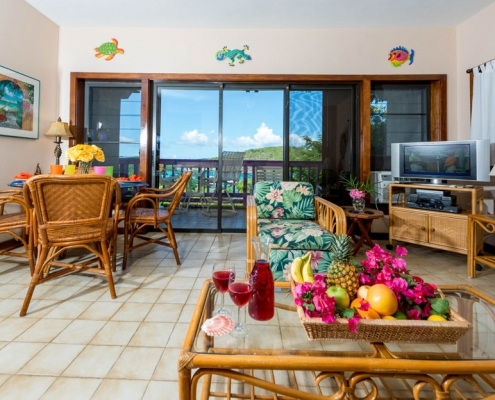 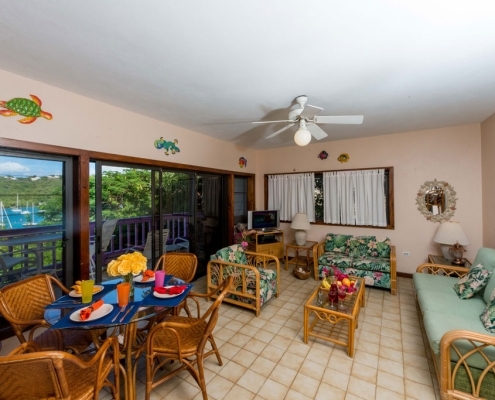 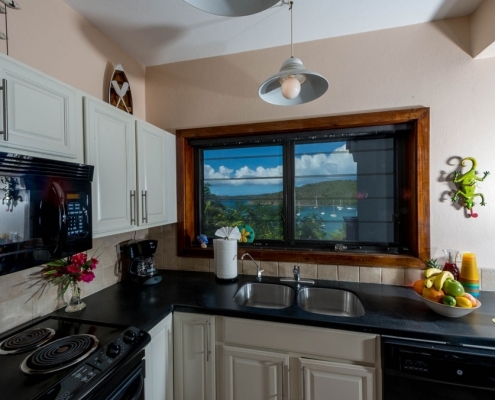 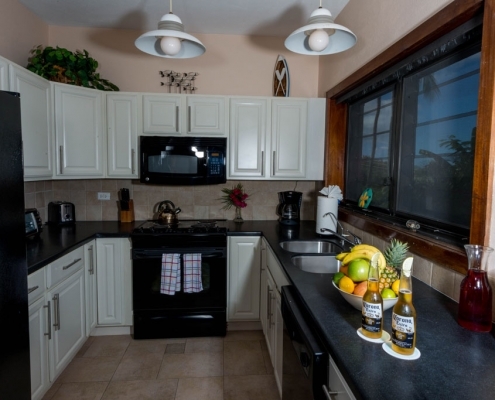 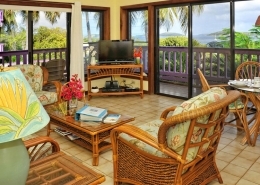 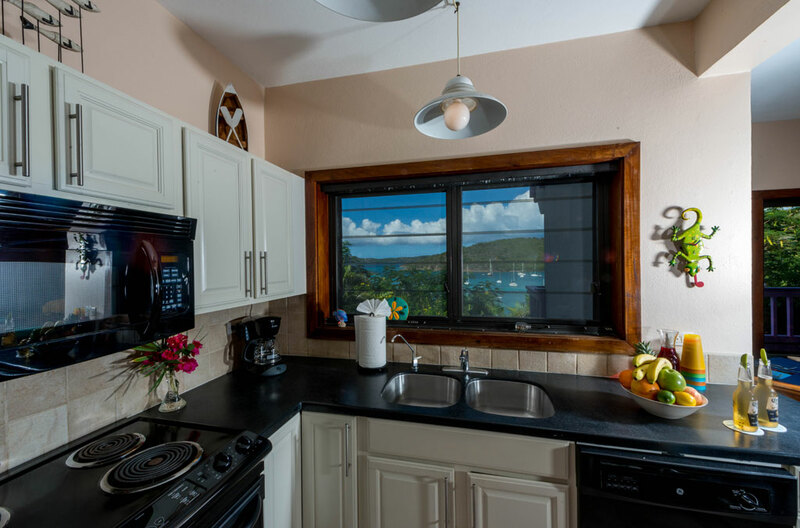 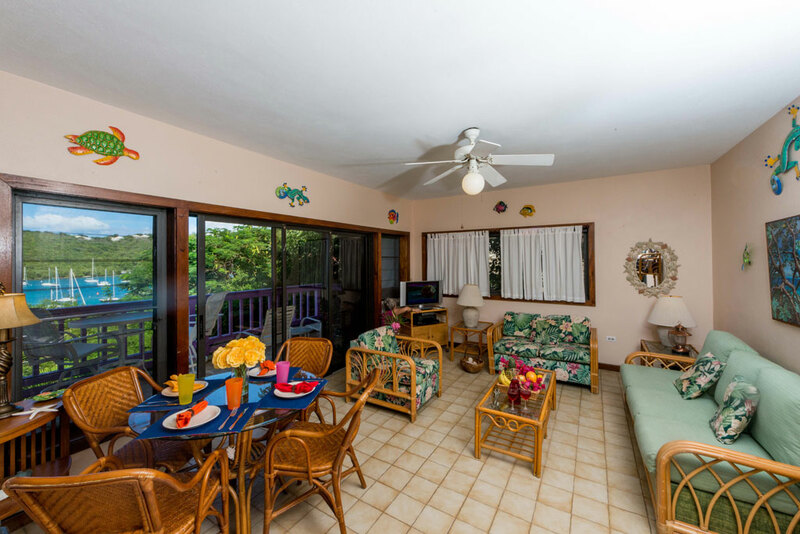 Located at pool level, it is convenient to the outdoor BBQ grills and the laundry facilities. 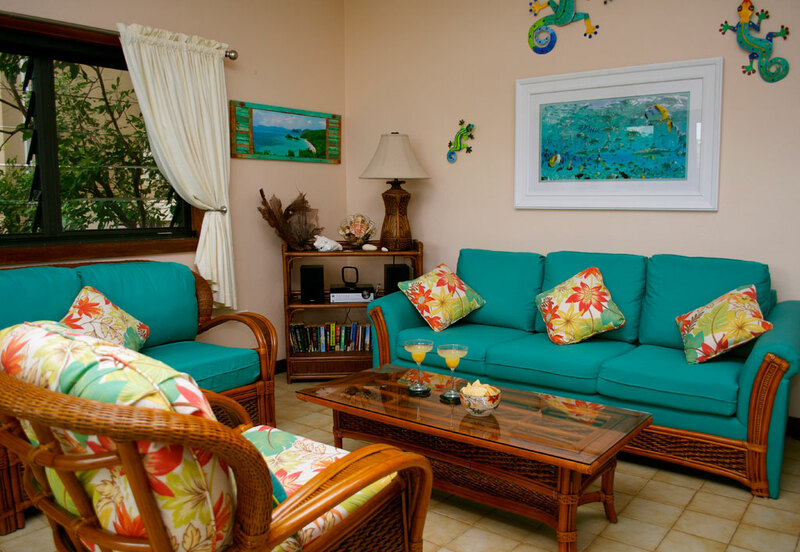 The living room offers a queen sized sleep sofa and a flat screen TV, stereo with blue tooth connectivity, and a DVD player. 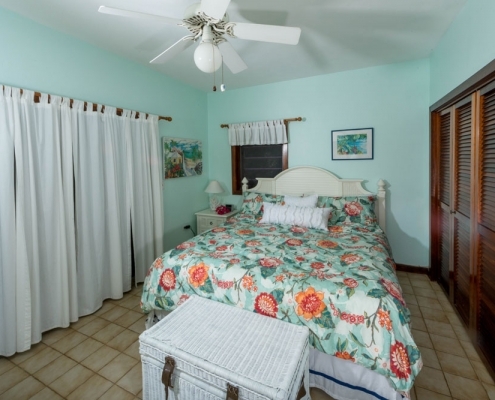 The bedroom contains a king bed and a second TV. 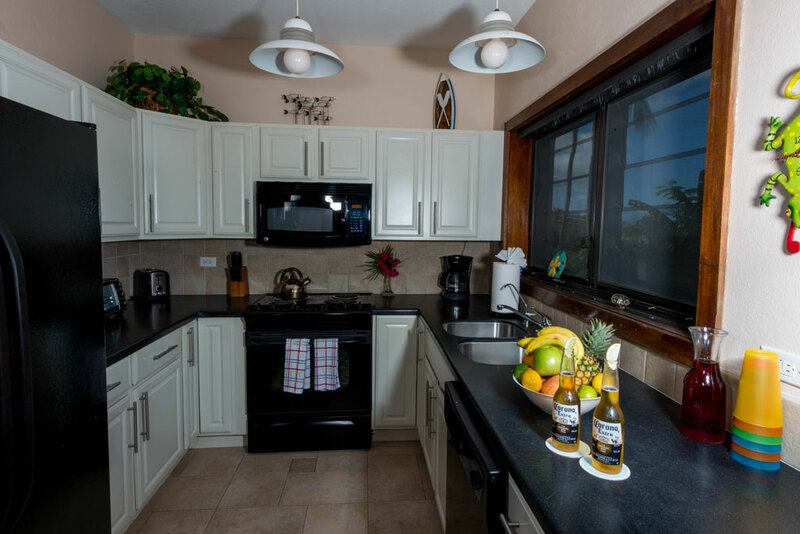 This suite has recently been fully upgraded with new living room, bedroom, and deck furniture, a new kitchen with KraftMaid cabinets and under cabinet lighting, ebony GE appliances, and a full size electric range. 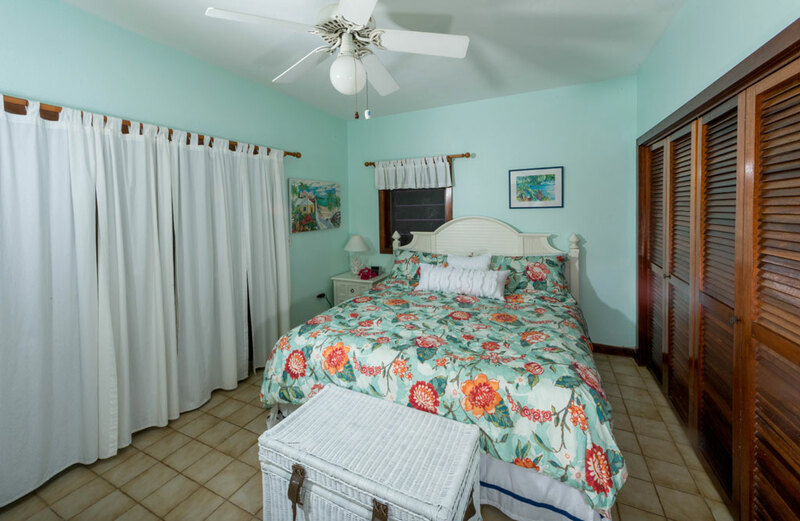 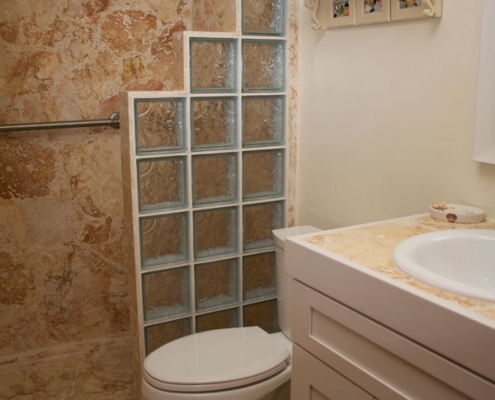 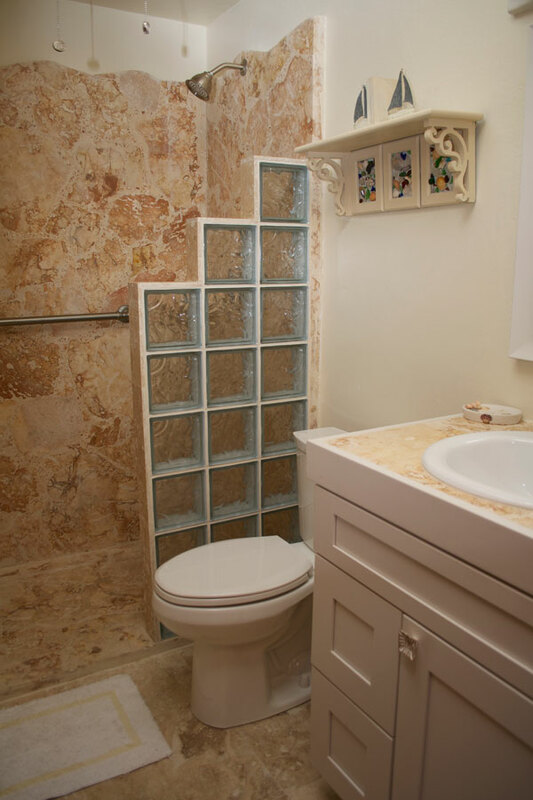 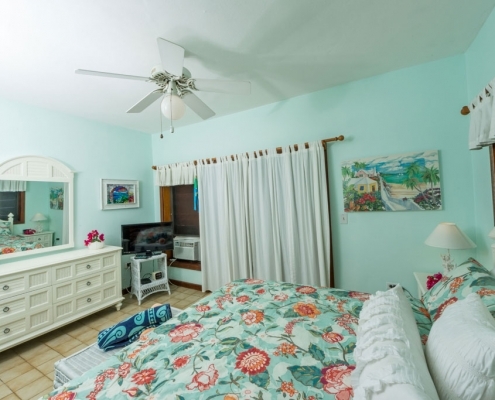 The bathroom has been completely renovated and features a walk-in shower with coral walls and a glass block half wall, new vanity with matching coral countertop, and new dual flush toilet. 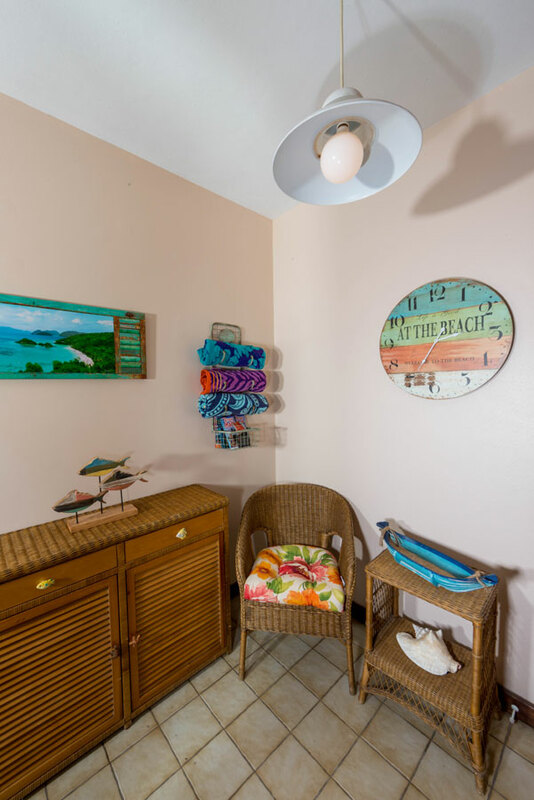 Premium faucets in the kitchen and bath and new lighting and paddle fans in all rooms add to the comfortable luxury of this unit. 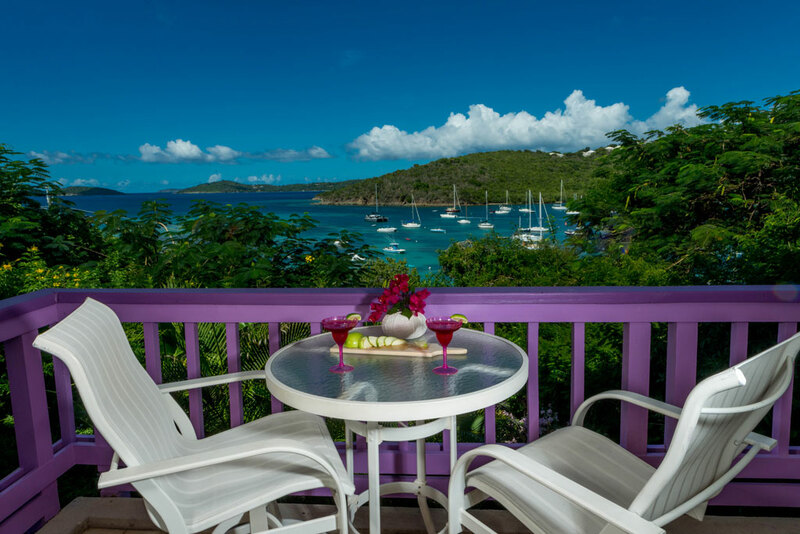 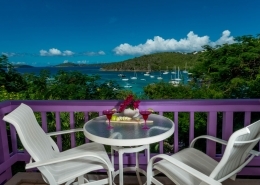 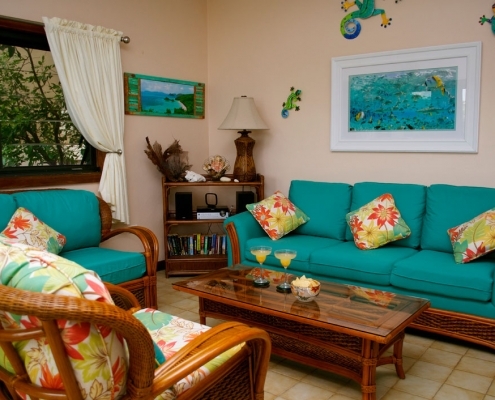 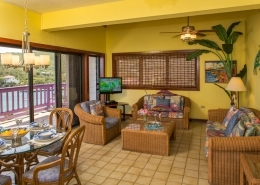 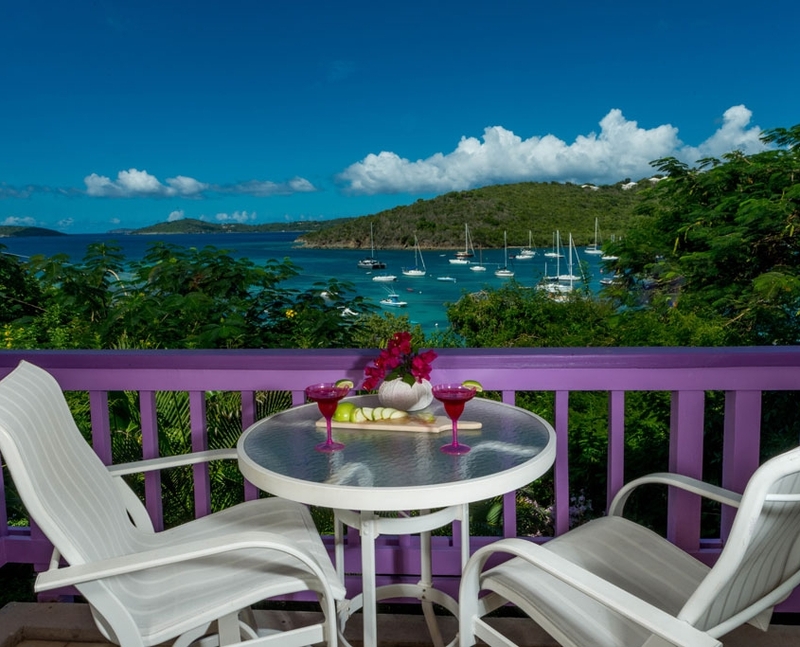 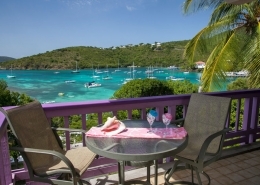 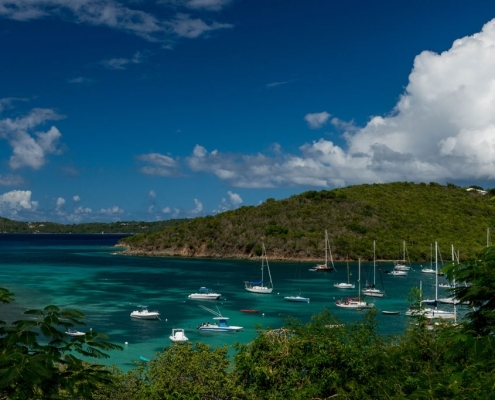 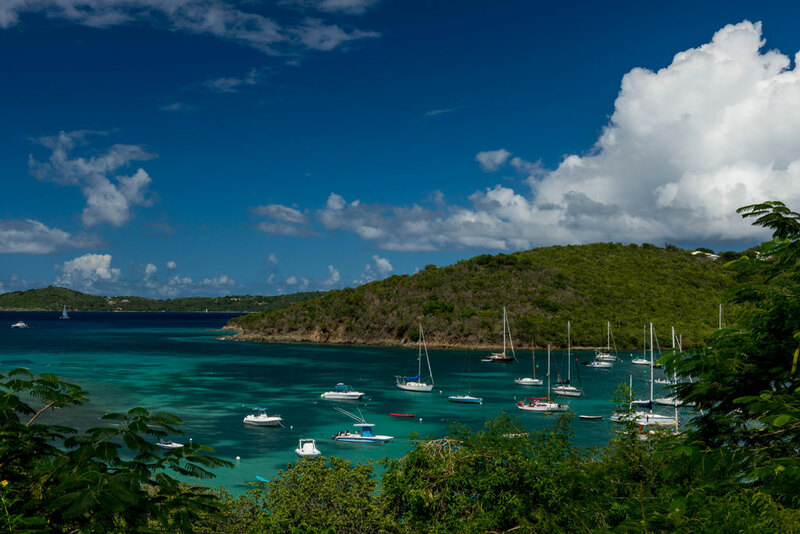 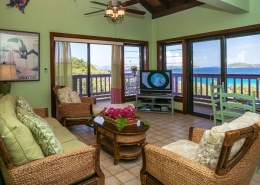 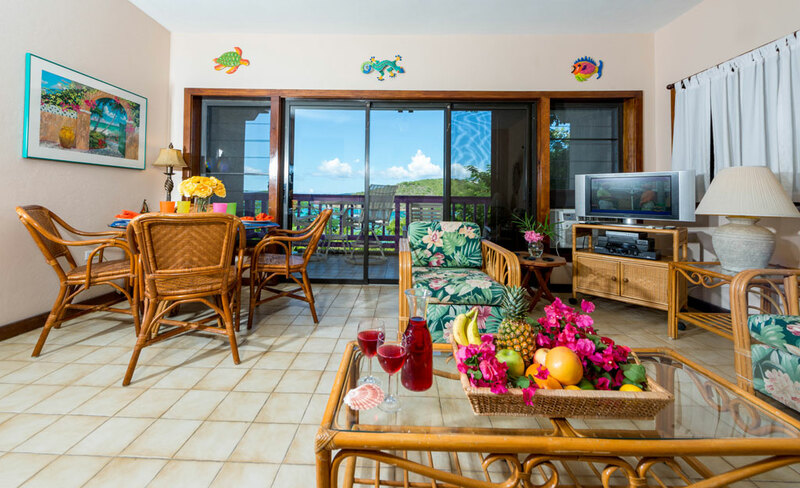 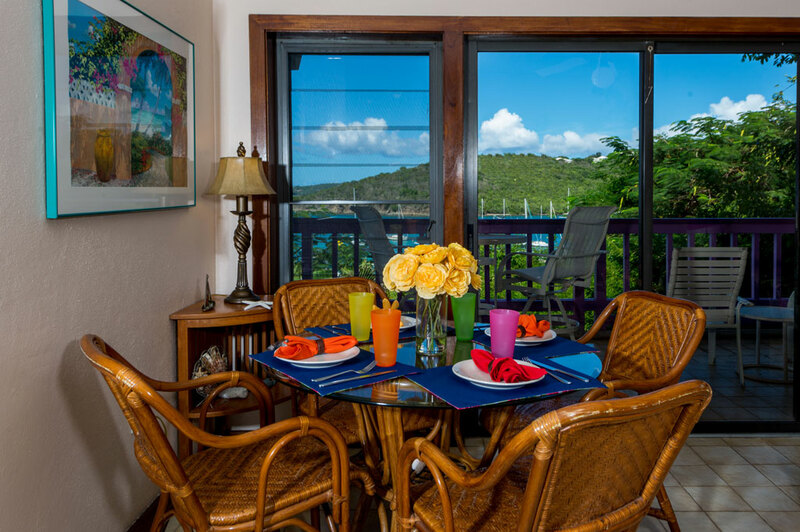 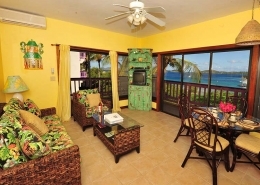 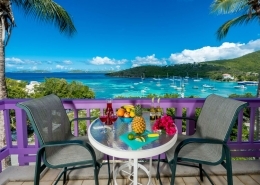 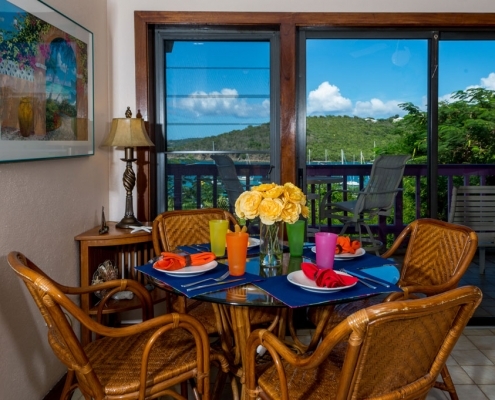 In addition to beach chairs, towels and coolers, 10E’s sheltered deck offers stunning views of adjacent islands and sailboats gently rocking in Cruz Bay harbor.